This page will be updated as soon as a new appointment is made. More information expected. PREVIOUS PRIEST IN RESIDENCE, NOW RETIRED. I trust you are all well and coping with this hot weather. After my years in the Middle East I love the heat, but I realise that a lot of people find the hot weather difficult. We welcomed Father Thabo, his wife and also the Etwatwa Link person during the last week of June and they stayed with us until the 3rd July. They of course enjoyed our weather, as its winter currently in South Africa. Fthr. Thabo celebrated at our 10.30 service on Sunday 1st July and afterwards we had a marvellous lunch together in the Hall. My thanks to the ladies and gentlemen who helped in any way to arrange this event. The fourth week-end in June was a very special time for us here at Christchurch. Stephen, or should I now say the Rev. Stephen was ordained Deacon by the Bishop on the 23rd June, I am so pleased that so many of you from the Parish turned up to show your support. Then on the 24th of June, Margaret Gale organised a bus and twenty-nine of us went to St. Margaret’s Roath to celebrate with Canon John Woodward, sixty years in Ordained Ministry. It was a truly wonderful evening. Our Bible Study on the last Thursday of every month in the Hall seems to be going well and my thanks to Rev. Stephen for organising the same. Everyone is welcome to join us for a non-academic chat about particular passages of scripture over a cup of tea and a biscuit. I am aware that I haven’t arranged a quiet day at Llantarnam Abbey this year. However, the Cathedral has arranged a day of reflection at the Abbey on Friday 20th July 2018 between 10.00 a.m. and 3.30 p.m. which is open to everybody. There will be prayer and reflection led by Sister Henrietta with a particular emphasis on ‘ecological spirituality’ Please phone 01633 867317 to book a place and if you attend, take a packed lunch. As I prepare this letter I have just received news that Stan Smith has been taken ill whilst on holiday in the West Country. He was admitted to hospital and has undergone surgery. Apart from that I have no further news. Please remember Stan and his family and friends in your prayers, he has been a good and faithful servant to the Parish for over forty years. My thanks to all those who sent cards and gifts and other good wishes on my 70th birthday on the 11th June. I was away in the Midlands for my birthday on a two days golfing break, which was great. The Archbishop of Canterbury spoke recently about the importance of prayer. Prayer is of course paramount because it is only by God’s grace do we live and eat and have our being. Please pray for those in our parish who are sick or bereaved and remember especially those on our intercessions list on the weekly notices. Please also remember Gerald in your prayers, he is recovering from eye surgery and the healing process requires time. Finally, on a personal note when I move from the Vicarage into my Flat I will have a lot of good furniture etc. which will be surplus to requirements. If you know, therefore, anyone who perhaps is newly setting up home or whatever, please have them contact me. I won’t charge anything although they may wish to make a donation to the church. They however, must arrange to transport the goods from the Vicarage. Prayer is worship that includes all the attitudes of the human spirit in its approach to God. True prayer, the prayer that must be answered, is the personal recognition and acceptance of the divine will. I trust this letter finds you all well and that you are looking forward to the summer and possibly holidays away. I have planned a few weeks off in August to play golf and during my absence Canon Arthur has agreed to cover the services here at Christchurch. We had a splendid afternoon tea on the 11th May in the Hall and my thanks to all of the ladies and gentlemen who worked so hard to make the event a success. As a result of the Tea, £250 was added to the Church funds. Also, on the 27th May we were at the Greenmeadow Golf Club for our Patronal Lunch and my thanks to Vera for organising everything, I believe everybody there enjoyed themselves. We are looking forward to the arrival of our brother and sisters from Etwatwa towards the end of the month and it is proposed that Fthr. Thabo will celebrate at the 10.30 service on the 1st July after which we will all have lunch in the Hall. This lunch will be to celebrate our friends arrival from South Africa and also to celebrate the ordination of Stephen to the Deaconate the previous week. By the way, you are all welcome to attend the Ordination service at the Cathedral on June 23rd at 10.30 a.m. and it would be good to show our support of Stephen. I have written elsewhere in this magazine about the history and traditions of the Stations of the Cross, a complete set of which has recently been installed in the church. The cost of these was donated by a member of our Parish and I believe that the fourteen handmade plaques from Italy are a suitable and appropriate addition to the Church. The PCC had previously agreed the proposal and design of the Stations and a Faculty has been issued by the Diocesan Office. In addition, another benefactor has donated £500/- being the cost of a cabinet for the Defibrillator, so that the same can be placed in the porch of the church. The cabinet will be connected to mains power and the inside temperature regulated to the optimum temperature required by the Machine. It is proposed that we give the Greyhound Pub a key to the Porch so that if necessary they can access the machine when the church is not open if one of their customers becomes ill. Finally, I would like to explain a little more about my proposed retirement from this Parish. As you are probably aware it is a very busy Parish and there are an above average number of Weddings, Baptisms and Funerals conducted here throughout the year. I have tendered my resignation to the Bishop to resign from Parish Ministry, which I was finding very stressful, but not as a Priest. 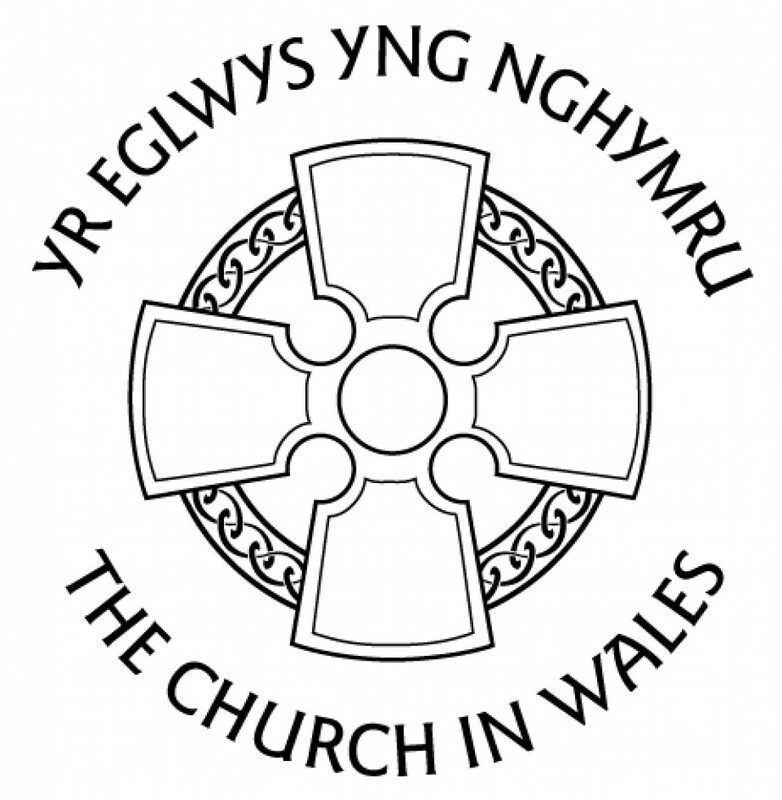 I shall continue to represent the Bishop on the Charles Williams Charity in Caerleon, I shall remain as Lead Chaplain for Gwent Police, I have been invited to remain as Community Governor at Milton School and I shall continue to serve on the Board of Ty Creoso at Llantarnam Abbey. I will also, after a period of sorting myself out in my new flat, conduct Funerals, Weddings and Baptisms, when needed, in the Diocese and will hopefully also have an altar to celebrate Communion some Sundays during the year. The protocol is however that after I leave the Parish of Christchurch I should not return here to conduct worship services. My new flat is located in Usk Way in Newport, near the BMW Garage and so not very far away. This is good because I intend to remain in touch socially with my friends in Christchurch. Preserve me O God, for in thee have I put my trust. I have said unto the Lord thou art my God. I have no good apart from thee. The lines have fallen for me in pleasant places, yea I have a goodly heritage. I trust this letter finds you well and enjoying the intermittent good weather. As you know on the 16th April we held our Easter Vestry, which is really the A.G.M. for the Parish and I wish to thank all those who have worked so hard for the church over the past year and those who have volunteered to serve for the coming year. You are no doubt aware that at the Easter Vestry I also advised the meeting that I had tendered my resignation to the Bishop and plan to leave the Parish at the end of September. Because of an unfortunate timing coincidence, I know a lot of people think that my resignation comes as a result of the anonymous letter sent to the Bishop’s office of which I wrote last month. I want to be very clear this is not the case, I had arranged to meet with the Bishop before the letter appeared in his office, and the reason for my resignation is so that I can enjoy, God willing, a period of retirement, – I shall be seventy in June. I have shared a wonderful ministry with you all here at Christchurch over the past six years and I shall of course miss much of what I do and also all of my friends here. Having spoken at length to the Bishop, who is very supportive of the Parish of Christchurch, I am confident that he will do all that he can to ensure a smooth continuation of the services and activities here. Don’t forget also that you will have a remarkable Deacon in Stephen who is a huge blessing to the Parish. I am aware that a number of people were upset with the ‘anonymous letter’ incident and quite a few of you have spoken to me about it. I am also aware that there are in the May magazine two letters written on the subject. Whilst I am grateful to you for expressing your support in this matter I have asked the Editor of the magazine not to accept any further articles regarding this subject, enough now has been said and written. A reminder that we have afternoon tea in the Hall on Friday 11th May, our Patronal Lunch at Green Meadow Golf Club on the 27th May, 12.30 for 1.00 and that Fthr. Thabo, his wife and the Link Member from Etwatwa will be with us for about a week starting 26th June. I would like to end this letter with a prayer. Living God, ever behind us and ever before us. In creation you give us a life which is always changing. we may rest on your eternal changelessness. May the blessings and joy of Easter be with you now and always. During Holy Week, as is the norm, the Bishop blessed the Chrism Oils at a service at the Cathedral for the parishes in the Diocese to use during the coming year. At this service the Bishop gave an excellent address, the essence of which I should like to share with you. As Christians, we may not always be aware of God in our lives but although we are not always aware of it, others will have sensed Christ in us and around us. Hold on to this thought and be thankful. Our call is not to slog it out and somehow convince people to become Christians. It is simply to allow God to be present. As Christians we do it by the manner in which we live our lives and in our relationships with our family and friends. I can’t think of anything more scary than being asked ‘have you been saved?’ I don’t believe that’s the way to introduce people to Christianity. St Paul says in Corinthians ‘For it is God who said, “Let light shine out of darkness,” who has shone in our hearts to give the light of the knowledge of the glory of God in the face of Jesus Christ’. The light shines in our hearts so the light of Jesus may be revealed. That’s it! Rowan Williams, reflecting on being a disciple, spoke of our calling to holiness. But he reminds us it is not something we can aspire to by being better. When in our lives we want to be better Christians, that’s not holiness, it’s well-intentioned but it misses the mark. Becoming holy is being so taken over by the extraordinariness of God that that is what you are really interested in, and that is what radiates from you to reflect on other people. The message of the Holy Week remains the same. As followers of Jesus we model him. And so, don’t try a little. Rather die a little and let God’s light and love shine through you. May God bless us all in our lives in Christ. As most of you are aware we have experienced a number of deaths recently in our parish and there is therefore a great deal of sadness within our church community. I would like therefore to quote below from a letter published by the previous Archbishop of Wales, Barry Morgan, after his wife’s death. “As Christians we take great comfort from our belief that death is not the end but that life, our relationship with God, continues beyond. People often do not know what to say or how to deal with those who are bereaved. I remember as an archdeacon going to one parish to address a group and talking to it about the nature of grief and its intensity. One of the members had been recently bereaved and sat weeping in the corner. The Chair was very angry with me for talking, in her words, “about such a morbid subject and for making one of her ladies cry by reminding her of the death of her husband”. As soon as I finished speaking, the tea was hurried in and had I not insisted on a discussion (which proved to be very good), none would have taken place. If we effectively deny death in public, then we also limit the scope for the public expression of bereavement. Weeping in public is often regarded as terribly bad form and yet we know that Jesus wept openly for his friend Lazarus. The grieving process is a natural process. Even though one may believe that death is not the end, that does not stop the heartache of missing those whom we love. We shall not see them again in this life. Grieving is the cost of commitment, the cost of loving. There is no right or wrong way to grieve – there is only the grief itself – a slow gradual journey undertaken by those who feel bereft. The New Testament talks about preparing for our final death by dying daily, of losing life in order to find it, of a grain of wheat needing to fall into the ground and die if it is to bear fruit. When you give of yourself in love, in marriage, to your family, or to being a disciple of Jesus, then it entails a willingness to die to yourself and to let go of your own needs and desires and a readiness to die to everything that is unlovely and destructive and violent. All that is a kind of preparation for the last letting go of all. May God bring all those who mourn the loss of a loved one His love, His comfort and His consolation. First may I wish you belatedly a very happy, prosperous and peaceful New Year. As we enter the New Year I ask you to remember in your prayers our church family here at Christchurch as well as all those who have died and those who mourn the loss of a loved one. Our services in December were varied and well supported, the Advent Carols, The Nine Lessons and Carols, the Contemplative Service, the Crib Service as well as Midnight Mass and the services on Christmas Day and Boxing Day. My thanks to Jan and the Choir for all of their hard work and the ladies who organised the Contemplative service together with the J.A.M. team which masterminded the Crib Service. Also my thanks to all who have worked so tirelessly throughout the year to organise the many activities and services in and around the church. Because of your generosity we were able to send £120.00 to Ty Hafan, the proceeds from the Christmas greetings tree at the back of the church. I would also like to thank you for your generosity in giving food to the Raven House charity, especially at this time of year when warm nourishing food for those in need is so essential. Our Night Shelter came to an end for another year on Boxing Day 2017, this year we shared our duties with another church and so we only did six weeks, rather than the usual nine. My thanks to Gwen and everyone else who worked so tirelessly arranging and coordinating the operation, together with all those who contributed in any way to make our hosting a success. Sitting with our guests on a Tuesday evening and enjoying the food and fellowship with them, it was gratifying to see how positive an influence Night Shelter has on a lot of people who would otherwise be sleeping on the streets. It was even more gratifying this year to have one of the volunteers working for Night Shelter who three years ago was a homeless guest. We have as usual a Shrove Tuesday Pancake evening in the church hall starting at six for six thirty on Tuesday 13th February and tickets are £3:00. Lent begins on Wednesday 14th February with Ash Wednesday and an ‘ashing service’ at the 10.30 Eucharist. The four Fridays of Lent lunches begin on the 2nd March, and subsequently the 9th, 16th and 23rd March. I propose to hold Lent Bible Study in the Church for four weeks in March, more details to follow. The PCC meets on the 19th March to review the annual accounts and the Easter Vestry, to which everyone is invited, will be held in church on Monday 16th April starting at 7.00p.m. The Easter Vestry marks the completion of the first year of Jane as my Warden, she has been a real support to me during this time and I am pleased to announce that she has agreed to stand for a further year as has John Evans, the Peoples Warden. Our Honorary Secretary Leslie has indicated that he will be retiring at the Easter Vestry and my thanks to him for his unstinting support during the time he has been Secretary. I am pleased to announce that Alison Sendell has agreed to take over the position of Honorary Secretary, for which I am extremely grateful. I am pleased that the PCC agreed at its last meeting on the acquisition of Stations Of The Cross for the Church and chose their preferred design. These will be paid for by an anonymous benefactor and we hope they will be installed to be used during the Easter services, full details of which you will find in the Diary section of this magazine. As we prepare for that most important season in the Church’s Calendar, Easter, I pray that we may all prepare ourselves both physically and spiritually for the coming weeks. As I write this letter at the beginning of December, the weather has turned cold and frosty, so please all of you wrap up and keep warm. In addition we are all being blasted constantly by the media, trying to persuade us to part with our money for our material gratification for the coming Christmas festivities. I really do thank God that as part of the Church family we are at least, for a short while, able to escape the madness and commercialism and remind ourselves of the true meaning of Christmas! On Tuesday 28th November saw the first of the four Advent Services by Churches Together which was held at St. Philips Lliswerry. These continue every week the 05th being at Lliswerry Baptist Church, Summerhill Baptist on the 12th December and finally St. Julian’s Methodist Church on the 19th December. Sadly, the planned evening with Milton Junior School Choir and its annual Carol Concert has been cancelled. This is largely due to the school re-organisation from Junior and Infants to Primary together with the appointment of a new Head Teacher. It has been a really traumatic time for them so please remember the school its pupils and staff in your prayers. We hope they will be with us at Easter instead. On Friday 1st December we have the Ladies Coffee Morning which is always a popular event, so do please try and attend. We have printed Christmas Cards detailing the services during Christmas at Holy Trinity, details of which can also be found in this magazine. If you need some cards to give to friends or neighbours they are at the back of the church. A reminder that we will be having a crib service on Sunday 24th December starting at 4.15 which is being organised by the J.A.M. team. I am hopeful that it will be well supported by the families in the area and beyond, as in deed it was last year. My sincerest thanks to you for your generosity with your food donations to Raven House. Your generosity is always appreciated but especially at this time of the year. As we approach this most blessed season of Christmas, may the peace and love of our Lord rest in your homes and in the homes of your family and friends and those you love and who love you. Psalm 113:- Praise the Lord, O sing praises you that are his servants: O praise the name of the Lord. Let the name of the Lord be blessed; from this time forward and for ever. From the rising of the sun to its going down: let the name of the Lord be praised. I trust and pray that you are well and that you are all coping with the coming of the darker and colder days, I know a lot of people, including me find the lack of bright sunshine and warm weather a challenge. I often think that it is at times like this that we need to be more especially aware of the well-being of our friends, family and neighbours. A brief visit, a kind word, a telephone call or just a smile can make such a difference to someone who is perhaps feeling a bit low. October was a good month in the Parish. Our Harvest Supper was splendid with a good attendance and extremely good food. My thanks to the ladies and gentlemen, who all worked so hard to prepare and serve such a wonderful meal. On the 12th we had our mystery trip to St. Mary’s Usk and then The White Hart Llangybi. A separate account of this event is in this magazine and my thanks go to Canon Arthur, Vera and all those who made the event such a success. October we celebrated our links with Etwatwa with a Link Eucharist which was a service using the South African Rite and an opportunity for us to remember our sisters and brothers in Africa. As an aside, when we went to print for last month’s magazine the final monies were not in from the concert held in September. I can now reveal that the net takings, kindly donated to church funds were £500, a splendid result from a wonderful evening of music. A reminder that Bishop Richard is with us on Sunday 5th November to celebrate Holy Eucharist and also to bid farewell to Stan Smith who is retiring as Reader and Eucharistic Minister. Stan has been a loyal and hardworking member of this community for over forty years. The following week, the 12th November, we celebrate Remembrance Day at our 10.30 Service. We will as usual be hosting Night Shelter in the Hall on Tuesday evenings/Wednesday mornings starting on the 21st November, and forms for those who are able to volunteer to help in any way are at the back of the church. In December on the 1st we have our Coffee Morning in the Hall, details of which are elsewhere in this magazine. As always December is a busy month in church and details of all of the services in December can be found in the Diary section in this magazine. ‘Though the mountains be shaken and the hills be removed, yet my unfailing love for you will not be shaken nor my covenant of peace be removed’, says the Lord, who has compassion on you. I trust that you are all well and preparing yourself spiritually and physically for the autumn and winter. It has been a hectic six weeks for me since the middle of August, having travelled to Thailand for a holiday and then spending two weeks in South Africa as part of a pilgrimage from the Diocese, a brief summary of the events of which I have given elsewhere in this magazine. Anyway I have now done roaming and am settling back into Parish life. My thanks to Canon Arthur, Stephen and Stan and everyone else for their support during my absence. The concert in the Church on the 8th September was I think a huge success and my thanks to everyone who was involved in any way with the event. A reminder that we have our Harvest Festival Service on Sunday 1st October and the Harvest Supper in the Hall on the 02nd October. On the 12th October we have our Mystery Trip visiting a country church followed by supper in a country pub. I believe that all the tickets for the Mystery trip have now been sold but there are still some spaces left for the Harvest Supper. Plans are now well in hand for Philippa Dixey’s birthday celebration on the 21st October in Church. The service will be centered around the Holy Eucharist and will include refreshments in the Hall afterwards. It is Philippa’s wish that rather than bringing gifts, those who attend the service can make a donation in the collection plate to one of her chosen charities. Please don’t forget that the Bishop has kindly agreed to visit us on the 5th November to celebrate the Holy Eucharist at the 10.30 service which will also mark the retirement of Stan Smith. I sincerely hope and trust that there will be a good turn out both to welcome the Bishop and also to bid farewell to Stan. On the 12th November we celebrate as usual Remembrance Day at our 10.30 Service. We will as in the past be hosting Night Shelter in the Hall on Tuesday evenings/Wednesday mornings starting on the 21st November and running for six weeks. As in the past we are entirely dependent upon volunteers to support this event and a form will be put at the back of the church shortly for you to write your name if you can help on any or all of the three shifts, i.e. 4.00 p.m. until 10.00 p.m., 10.00 p.m. to 6.00 a.m. and 6.00 a.m. to 9.00 a.m. Our co-ordinator this year for Night Shelter is Gwen Hawkesley so please contact her if you have any queries. Alternatively, contact Gwyneth in the Church Hall who will be drawing up the list of volunteers. Finally, Men’s Society members please note that our Chairman, Graham Jones is not standing for re-election at our A.G.M. in October. Therefore we need to elect a new Chairman. Proverbs 3:27, 30 and 31. ‘Do not withhold good from those to whom it is due, when it is in your power to do it.’ Do not quarrel with anyone without cause, when no harm has been done to you, Do not envy the violent and do not choose any of their ways. As we slide silently into Autumn I trust that all of you have been able to have a break during the Summer and are feeling refreshed and ready to face the challenges that the coming seasons hold for us. We have been busy as a church over the summer months with lots of Baptisms, Weddings and Funerals. In addition in August we had our Hog Roast which was extremely successful. The volunteers worked very hard to ensure the success of this event and I want to thank them all most sincerely for their efforts. At the beginning of the third week of August I went on holidays, two weeks in Thailand where my brother and I were able to play golf and his wife catch up with her family there. It was all lovely, well except for my golf which wasn’t great and I was able to top up my batteries. My thanks to Canon Arthur, Stephen, Stan, my Wardens and everyone else who worked so hard to maintain the status quo during my absence. A delegation from the Diocese of Monmouth are going to South Africa to visit our link parishes in the High Veld. A couple of us are going from Christchurch and I know people have been busy making gifts for us to take to our brothers and sisters in Etwatwa, for which I am extremely thankful. The coming months are going to be busy for us here at Christchurch. On the 8th September we have a Concert in Church which will include cheese and wine during the interval, followed by our Harvest Festival Service on Sunday 1st October and the Harvest Supper in the Hall on the 02nd October. On the 12th October we have our Mystery Trip visiting a country church followed by supper in a country pub. Tickets are limited because of the seating limitations of both the coach and the pub. On the 21st October it is planned to hold a special service in church to celebrate Philippa Dixey’s birthday and to also raise funds for Charities. The Bishop has kindly agreed to visit us on the 5th November to celebrate the Holy Eucharist at the 10.30 service which will also mark the retirement of Stan Smith. Stan has been an enormous support to me during my ministry at Christchurch and has served the Parish since 1977, as Sidesperson, Warden, Reader, Eucharistic Minister and PCC/FG&P Member. Stan has been one of our Readers for over twenty-five years and whilst he will be retiring from some of his duties ‘up front’ I am sure he and Lilian will remain as Church Members here at Christchurch. We will as in the past be hosting Night Shelter in the Hall on Tuesday evenings/Wednesday mornings starting in November, and details of the precise dates will be available shortly. I expect that a lot of you are planning or are already on your holidays. Whatever the case I trust and pray that you have or will have an enjoyable time and that you return to us after the summer refreshed in body, mind and spirit. In the spirit of holidays I have included in this edition of the magazine a poem by John Betjeman entitled seaside golf which evokes memories of both seaside stays and golf. In June our social calendar in the Parish was hectic. We had a very successful Patronal Lunch at the Huntsman and my thanks to Vera for organising the same. We also had a very good concert given by the Dragon Choir in aid of Cruse Bereavement and the proceeds of the evening was over £500/= which was a good result for the Charity. On the 28th of June we had a splendid afternoon tea in the Hall which was well attended and my thanks to the ladies and gentlemen who organised the event. The following day, a group of about fourteen of us met for a Parish Quiet Day at Llantarnam Abbey which was a very restful and spiritual time. We must also remember a splendid wedding which took place in Church on the 24th June between John Woodward and Pat Brimble. The church was full of well-wishers and you could really ‘feel the love’. I know you all join with me in wishing John and Pat a very happy life together. As you may remember, this summer edition of the magazine covers both July and August and so a reminder that we have the Hog Roast in the Hall on Friday 11th August 2017 followed in September on the 8th with an evening of music for a summer evening, which will also include during the interval cheese and wine. I am also hopeful that perhaps early October we can have, as last year, a mystery trip in the evening, not too far away, visiting a country church and followed by supper in a country pub. I think it worked well last year and we shall try to arrange something, so watch this space. As I am sure you are aware a lot of effort goes into arranging the social side of our activities. Those activities which have taken place this year and are also planned for this year have been organised by a small group of volunteers who plan and execute the activity. Therefore if you have an idea for an activity and are willing to organise the same please speak to me about it. I would like to extend my congratulations to Sam, who you will remember preached some Sundays for us over the past years. Sam was ordained Priest on Sunday 24th June at St. Woolos Cathedral. Finally, I feel it necessary as your Priest and Interfaith Officer for the Diocese to stress that we must not rush to judgment as a result of the terrorist activities we have witnessed in Britain and Europe over the past months. These actions are those of a minority of mis-guided people. They do not represent the views of the majority of people living in Britain and Europe. We must therefore live our lives to the full and not let these events curtail our activities. I pray that you are all well and enjoying the intermittent warm weather. At last we are seeing signs of summer.. In May we celebrated Ascension Day and at the beginning of June we will celebrate Pentecost and Trinity Sundays. Our Patronal Lunch will be at The Huntsman, Shirenewton on the 11th June 2017. Also in June we have the Dragon Choir singing on the 10th in Church, a concert in aid of the Cruse Bereavement Charity and on the 28th June starting at 3.00 p.m. we have afternoon tea in the Hall in aid of church funds. Finally on the 29th June we will have a Parish Quiet Day at Llantarnam Abbey from 10.00 a.m. until 4.00 p.m. I attended a regional conference in Carmarthen recently for Police Chaplaincy at which I met Julie Nicholson, who I had met previously when I was in college in Bristol. Our meeting prompted me to write the article on forgiveness which you will find in the June edition of the church magazine. The article is even more pertinent following the recent terrible events in Manchester and as your Parish Priest and also the Diocesan Interfaith Officer I must stress that such actions by a few mis-guided people should not affect the way we view the majority of Muslims and the followers of Islam. The Muslim community has unreservedly condemned the actions of the suicide bomber in Manchester as has every sane and reasonable person throughout the world. The Muslim Holy Month of Ramadan started on the last Saturday in May and I am sure a gesture which would be well received would be for you to wish a Muslim friend or neighbour ‘Ramadan Kareem’, which is a wish for the blessings of the Fasting Month to be with them. It is time for us all to be united against such atrocities as have been witnessed in Manchester. At the end of April Rev. Dr. William Ingle-Gillis was licensed to St. Johns and Lliswerry by Bishop Richard at a very special service held at St. John’s Maindee. We welcome Father Will and his family to our Ministry Area as our Ministry Area Leader. We look forward as a Parish to working even more closely with the other Parishes within the Ministry Area. As we come into the holiday period, I trust that what ever you have planned for your summer will be enjoyable and if you are travelling I pray you will stay safe and return to us here at Christchurch fully refreshed. Finally, please remember in your prayers those who are mourning the loss of a loved one, those who are homeless and those who are without food and water. If you love those who love you, what credit is that to you? Even sinners love those who love them. And if you do good to those who are good to you, what credit is that to you? Even sinners do that. And if you lend to those from whom you expect repayment, what credit is that to you? Even sinners lend to sinners, expecting to be repaid in full. But love your enemies, do good to them, and lend to them without expecting to get anything back. Then your reward will be great, and you will be children of the Most High, because he is kind to the ungrateful and wicked. Be merciful, just as your Father is merciful. Although the weather is still a bit chilly I have faith that summer is on the way and I trust as I write this letter that you are well. April was a very busy month in the Parish but also a very special time spiritually. Holy Week and Easter Week celebrations went as planned and I hope and pray that they afforded you the opportunity for prayer, reflection and peace. I want to thank all those who so beautifully decorated the church for Easter, our church always looks wonderful but with the Easter flowers and decorations it was magnificent. Arising out of our Lent Lunches we were able to donate £300/- to the East African Drought Relief Charity. My thanks to you all for your support. The Men’s Group joined with the Women’s group for a trip to the Royal Mint on the 18th April and I think I can safely say that a good time was had by all, although some were disappointed that there weren’t any free samples being given out!! Starting on the 23rd April, Stephen Blewett has been active at all our services as well as at Baptisms and Funerals as part of his training towards Ordained Ministry. Stephen will work in conjunction with me, Stan and the rest of the Ministry Team and I trust you will give him your fullest support. Our Easter Vestry Meeting took place on the 24th April when we reviewed church business over the last year and elected PCC Members and a People’s Warden for the coming year. My thanks to John for all his hard work and support as People’s Warden over the past year and for agreeing to serve for another year. As you know Marjory resigned as my Vicar’s Warden and my thanks to her for all her hard work and support for the past five years since I have been in the Parish. I am pleased to announce that Jane Bayley has agreed to be my new Vicar’s Warden and I know you will give her all your help and support as she embarks on what can be a daunting task. I have thanked in the Annual Report and at the Easter Vestry all those who work so hard to keep this Parish thriving but in case anyone missed it I really do appreciate all of your hard work and support in our joint ministry here at Christchurch. The Parish Office is up and running and Gwyneth is a great help to me. If any of you want to volunteer to answer the phone or help in any other way please speak to Gwyneth. We have two bits of especially good news this month in the parish. First David Morgan was judged fit to travel and has arrived home safely from Australia, so please continue to remember him and Ann in your prayers. Second, Graham and Catherine were married on the 29th April at SS Julius and Aaron and the service was conducted jointly by Father David Matthews and myself. We offer our congratulations to the newly married Mr. & Mrs Jones. I wish the joys and peace of Easter will remain with you and those you love for the remainder of the year and always and I pray that we may all continue by God’s grace, to love Him and each other. You are my God, and I will give thanks to you; you are my God I will extol you. O give thanks to the Lord for he is good, for his steadfast love endures for ever. With the clocks going forward last Sunday and the start of Daylight Saving Time, I have really begun to think that spring is just around the corner. Although the winter hasn’t been particularly harsh it has seemed to me to have been going on for a very long time. In March we had our Ash Wednesday service on the 1st to mark the beginning of Lent. Thereafter for the next four weeks every Friday we had Bible Study in the Church at 11.00, which was an informal chat about selected parables of our Lord. Afterwards at 12.00 we had Lent Lunch in the Hall and both of these events were well supported. My thanks to everyone who helped in any way to organise or support these occasions. On the 20th March we held a special PCC Meeting to approve the Annual Accounts. Our Treasurer Gavin did a splendid job on the preparation and presentation of the accounts and my thanks to him for all his hard work. Finally in March on the 26th we celebrated Mothering Sunday and the youngsters distributed the potted plants to the ladies in the congregation. My thanks to the Women’s group for donating the plants and especially to Carol for arranging to collect them and delivering them to church. April of course with Easter will be a very busy month. Please refer to the Diary page for April in this magazine to see the services we have during the month and especially during Holy Week, when there will be at least one service every day. You may recall that last month in the magazine I wrote that I am looking for a new Vicar’s Warden to take over from Marjory after the Easter Vestry. I am speaking to someone concerning this position but at the time of writing nothing has been finalised. Therefore I would still welcome suggestions and/or offers from those church members who might be interested in exploring the situation further. I also mentioned last month that we were creating a Parish Office in the Hall and the telephone line with broadband has now been installed along with a computer and telephone. The number is (01633) 431068 and the email address christchurch.churchhall@gmail.com. Gwyneth Jenkins has kindly offered to work pro-tem as my P.A. until the end of April to see whether, in the long-term the position would suit our mutual requirements. The next stage of the development of the Parish Office would be to have volunteers to run the office when the P.A. isn’t there. If you are interested in helping out for a few hours please contact Gwyneth on the number/email in the foregoing and if enough interest is forthcoming she will prepare a rota. Stephen Blewett is on track to be more involved in leading worship and he retires from his full-time employment at Easter. I have therefore agreed with him that he will be assisting in more services in the Parish with effect from Sunday 23rd April along of course with Stan Smith. I am really privileged to have two such good supporters in my ministry here. As you may recall in past years we have donated the proceeds from the Lent Lunches to Christian Aid. However, because of the dreadful situation in the countries of Southern and Eastern Africa as a result of the drought, the PCC decided that this year the proceeds will be donated to help save lives in these countries instead. Finally, I hope that you haven’t found Lent too difficult and along with perhaps giving something up you hopefully have had the opportunity to do something extra to help somebody in need. With my love and prayers for the remainder of Lent and for a truly blessed and peaceful Easter Tide. I waited patiently for the Lord; he inclined to me and heard my cry. He drew me up from the desolate pit, out of the miry bog, and set my feet upon a rock, making my steps secure. He put a new song in my mouth, a song of praise to our God. Many will see and fear and put their trust in the Lord. As the days are getting longer, it appears that we are coming to the end of the winter period, a fact confirmed by the snow drops and daffodils we see popping up everywhere. Don’t forget to put your clocks forward on Saturday night the 25th March, as British Summertime begins. February has been quite a busy month in the Parish; we had our Parish Lunch at the Huntsman on the 05th February and Pancakes in the Hall on Shrove Tuesday, the 28th of February. My thanks to Vera for organising the Parish Lunch, for Duncan for cooking the pancakes with me and to the ladies and gentlemen who helped with and co-ordinated these events. A reminder that our Lent lunches and Lent Bible Study both begin on the 10th March, Bible Study at 11.00 a.m. in Church and lunch 12.00 noon in the Hall. Last month I wrote that the Bible Study would be on Thursday in Church but I’m afraid all my Thursdays are booked and so I shifted the Bible Study to the Friday. These meetings are intended to be informal, with a cup of tea and a non-academic discussion about Scripture. You may recall that last month in the magazine I wrote that I am looking for a new Vicar’s Warden to take over from Marjory at the Easter Vestry. I would still welcome suggestions and/or offers from those church members who might be interested in exploring the situation further. I also mentioned last month that we were creating a Parish Office in the Hall and the telephone line with broadband has now been installed and the number is (01633) 431068. I am still looking for a paid Parish Administrator to work fifteen hours a week, flexible timing, with gaps hopefully to be filled by volunteers. Once we have appointed someone we will install the telephone handset and computer. I sincerely hope and pray that both these positions will be filled sooner rather than later because of the workload in the Parish. On a positive note I am pleased to tell you that Stephen Blewett has been recommended for further training to ordained Ministry and to this end we will be seeing Stephen much more involved in the Church activities with me. He has agreed to preach every month, he will administer the chalice, conduct the Ministry of the Word at the Eucharist, attend funerals with me so that eventually he will conduct them on his own, likewise Baptisms. Concerning weddings, we will have to wait until Stephen is ordained Priest before he conduct those but in the meantime he will attend weddings with me. All of the foregoing and more is part of Stephen’s training to ordained Ministry and I know you will support and encourage him on this very important journey in his life. Finally, at the end of February, The Bishop, the Dean, one of the clergy from Risca and myself were invited to the Coptic Church in Risca to celebrate their 25 years Jubilee. It was a most interesting and enjoyable day, but when I subsequently mentioned the Coptic Church to people; some were unaware of its existence or origins. I have therefore written elsewhere in the magazine an article concerning the Coptic Christian Church. I sincerely trust that by God’s grace and strength, this Lent will be for us a period of peace, contemplation and inner examination, as we prepare for the great festival of Easter. Because he inclined his ear to me, therefore I will call upon him as long as I live. Our services in December were varied and well supported, the Advent Carols, St. David’s Light Up A Life Service, The Nine Lessons and Carols, the Contemplative Service, the Crib Service as well as Midnight Mass and the services on Christmas Day and Boxing Day. My thanks to Jan and the Choir for all of their hard work and the ladies who organised the Contemplative service together with the J.A.M. team which masterminded the Crib Service. Also my thanks to all who have worked so tirelessly throughout the year to organise the many activities and services in and around the church. Special mention to my hard working Wardens, Marjorie and John. Our Night Shelter has now come to an end for another year although the PCC at a recent meeting agreed that we should do it again this coming season. My thanks to Paulette, Gwen and everyone else who worked so hard arranging and coordinating the operation, together with all those who contributed in any way to make our hosting a success. Sitting with our guests on a Tuesday evening and enjoying the food and fellowship with them, it was gratifying to see how positive an influence Night Shelter has on a lot of people who would otherwise be sleeping on the streets. Lent begins on Wednesday 1st March with Ash Wednesday and an ‘ashing service’ at the 10.30 Eucharist. The four Fridays of Lent lunches begin on the 10th March, and subsequently the 17th, 24th and 31st March. I shall also be holding Lent Bible Study in the Church for four weeks every Thursday morning at 10.30 starting on the 16th March, more details to follow. Recently, my Warden Marjory Gibbon indicated that she will not be standing again after the Easter Vestry. The appointment of Vicar’s Warden is the Vicar’s choice but he needs to know who would be willing to undertake the task if asked. I can think of a number of suitable candidates in our Church Family but a lot have work/family commitments which may make it difficult to offer themselves as my Warden. Please therefore make your availability and willingness known to somebody who can then let me know if you would like to be Vicar’s Warden. At our recent PCC I asked that we convert the office in the Hall into a fully functioning Parish Office with Phone and Broadband and a paid Parish Administrator working about 15 hours a week, with any gaps filled by volunteers. Christchurch is a busy Parish and the administration load is quite formidable. We were fortunate in the past to have retired volunteers who were able to undertake the various tasks, this is no longer the case. The PCC has agreed to my request and we are proceeding accordingly. More news on our progress next time. November was a busy month for us. On the 6th we had a Link Service and my thanks to the J.A.M. team and Joyce for organising the celebrations. Then on 13th we had our Remembrance Day Service at 10.30 and on the 20th Bishop Richard was with us to celebrate the Eucharist and also the first birthday of J.A.M. After the service we all went to the Hall for a Birthday Party with loads of food. On the 26th November we had our Bazaar which was a huge success. The event was well supported even though there were similar events happening at the same time in the area. My sincerest thanks to all those who organised the Bazaar, I don’t have final numbers yet but I understand the takings were well over a £1000/- which will go into church funds. Tuesday 22nd the first of the four Advent Services by Churches Together was held at Beechwood. These continue every week the 29th being at St. John’s Maindee, Penylan Baptist on the 6th December and finally St. Julians Methodist Church on the 13th December. We opened our doors on the 29th November for the first of our night shelters and again my thanks to all who are co-ordinating this activity and to all who have volunteered over the coming weeks. Sadly, the planned evening with Milton Junior School Choir and its annual Carol Concert has been cancelled because the choir had been double booked. We hope they will be with us at Easter instead. Next Monday the 5th December we have the Ladies Coffee Morning which is always a popular event. On a different note you will be aware that in November the Diocese of Monmouth advertised in the Church Times for four Stipendiary Clergy, who would also be Ministry Area Leaders. One was proposed for Caerleon, One for St. John’s Maindee, one for St. Mary’s Malpas and one for Grosmont. Sadly it transpires that we did not receive any suitable applications for any of the posts and so in the new year the process will be reviewed and re-launched. This is something we need as a church community to pray about. A reminder that we will be having a crib service on Saturday 24th December starting at 4.15 which is being organised by the J.A.M. team. I am hopeful that it will be well supported by the families in the area and beyond. I trust and pray that you are well and that you are all coping with the coming of the darker and colder days, I know a lot of people, including me find the lack of bright sunshine and warm weather a challenge. I often think that it is a times like this that we need to be more especially aware of the well-being of our friends, family and neighbours. A brief visit, a kind word, a telephone call or just a smile can make such a difference to someone who is perhaps feeling a bit low. October was a good month in the Parish. Our Harvest Supper was splendid with a good attendance and extremely good food. My thanks to the ladies and gentlemen who all worked so hard to prepare and serve such a wonderful meal. On the 16th Bishop Richard conducted a Confirmation Service which was a very relaxed and joyous occasion. Our Church Family here at Christchurch offer our congratulations to Abigail as our latest candidate to be confirmed. A reminder that on the 6th November we celebrate our links with Etwatwa with a Link Eucharist and the following week we celebrate Remembrance Day at our 10.30 Service. Then on the 20th Bishop Richard is with us again at our 10.30 Eucharist to celebrate the first birthday of J.A.M. On the 22nd of November the first of the four Churches Together Advent services takes place at Beechwood Presbyterian Church, followed by St. John’s Maindee on the 29th, Penylan Baptist Church on the 6th December and St. Julian’s Methodist Church on the 13th December. All services begin at 7.00 p.m.
We will as usual be hosting Night Shelter in the Hall on Tuesday evenings/Wednesday mornings starting on the 29th November, and forms for those who are able to volunteer to help in any way are at the back of the church. In December on the 5th we have our Coffee Morning in the Hall and then on the 6th in the evening, at 6.00 Milton School Choir will be giving their annual Christmas Carol Service to which everyone is invited. A Light Up A Life Service in conjunction with St. David’s Hospice will be held on the 9th December in our church. It is intended to hold the service in the afternoon at 2.00 p.m. along with St. John’s Parish Maindee. In October the combined PCC’s of all the Ministry Area of South East Newport met with Archdeacon Jonathan and it was discussed and agreed that St. John’s Maindee and the parishes of Lliswerry should be grouped together as well as the parishes of SS Julius and Aaron and St. Teilo’s. In the discussions it was agreed that Christchurch would remain on its own. Concerning the new Ministry Area Leaders, advertisements will be published early November for the posts, with interviews and appointments planned for the end of November. Given that successful candidates will probably have to give three months notice from their current employment, they could be in place late Spring next year. My thanks to Philippa Dixey who has worked really hard attending meetings and providing the information required for this process. I am intrigued that no-body has wanted to discuss the details I gave in my last month’s letter about admission to Holy Communion. Please feel free to contact me if you have any questions. I attended in October the annual Muslim Council for Wales Interfaith Lecture and Dinner at City Hall Cardiff. It was well attended by representative of all major faiths and was a very interesting evening. The one message that came out of the meeting was that most people from all faiths are striving for love and peace in the world and the disruption and violence we witness is the work of minorities. Dear Friends, Well we are truly into Autumn and so I trust that all of you have been able to have a break during the Summer and are feeling refreshed and ready to face the challenges that the coming seasons hold for us. We have been busy as a church over the summer months with lots of Baptisms and Weddings as well as a few funerals. July started with the Cheese and Wine in the Vicarage and the weather really was kind. Then at the end of July we had our Mystery Trip to Caldicot and then supper afterwards at Llanfair Discoed, a most enjoyable evening. In August we had our Hog Roast which was extremely successful and I think over-sold which isn’t really a bad thing. The activities committee have worked very hard throughout the year and I want to thank them all most sincerely for their efforts. The last week of August I went on holidays, a week of cruising the Eastern Mediterranean with my brother and his wife, followed by a week in Valencia and then a few days in London. It was all lovely and topped up my batteries. My thanks to Canon Arthur, my Wardens and everyone else who worked so hard during my absence. You will see in this magazine a copy of a letter from the Bench of Bishops together with a brief note from me concerning admission to Holy Communion. Please speak to me if you have any question regarding this matter. The coming months are going to be busy for us here at Christchurch. We have our Harvest Festival Service on Sunday 2nd October followed by the Harvest Supper in the Hall on the 3rd October. The Bishop will be here on the 16th October for a Confirmation Service, again on the 18th October to talk to the Men’s Society and then finally on the 20th November to celebrate the first birthday of J.A.M. On the 6th November we celebrate our links with Etwatwa with a Link Eucharist and the following week we celebrate Remembrance Day at our 10.30 Service. In December on the 5th we have our Coffee Morning in the Hall and then on the 6th in the evening, at 6.30 Milton School Choir will be giving their annual Christmas Carol Service to which everyone is invited. Churches Together in East Newport you may recall does four services in four different churches for Advent. We hosted one of the services last year and so this year it will be other churches in the group. The first service is on Tuesday 22nd November 2016 and thereafter every Tuesday. Details to follow. We will as usual be hosting Night Shelter in the Hall on Tuesday evenings/Wednesday mornings starting in November, and details of the precise dates will be available shortly. Also for the first time this year we shall be holding a Light Up A Life Service in conjunction with St. David’s Hospice on the 9th December. It is intended to hold the service in the afternoon at 2.00 p.m. along with St. John’s Parish Maindee. I expect that a lot of you are planning or are already on your holidays. Whatever the case I trust and pray that you have or will have an enjoyable time and that you return to us after the summer refreshed in body, mind and spirit. In June I went on a pilgrimage to Rome with the Bishop and fellow clergy. We were there for five days, Monday to Friday and it was a wonderful opportunity for us to explore the early origins of Christianity and also to spend time in prayer and support of each other. In our Parish we had a very successful Big Brunch on the 11th June and my thanks to everyone who either worked to organise or who supported the event. On the 17th we were privileged to have the Dragons Choir with us for a concert. Originally it was intended that the proceeds would be split equally between the church and the choir but on the night, the choir decided to donate their half of the proceeds to the church, for which we thank them. My thanks also to the organisers of the event for a splendid evening. As you may remember, this summer edition of the magazine covers both July and August and so a reminder that we have the Cheese and Wine in the Vicarage garden on the 8th July and then on the 28th July a Mystery Trip. For the latter the bus will pick us up at Christchurch at 6.00 p.m. We will travel to a country church and the Priest of that Parish will be on hand to show us around. After that we shall travel to a country pub for a two course supper before returning to Christchurch at around 10.00 p.m. We have to limit the numbers for this trip, so if you are interested in joining us please put your name on the list at the back of the church. Finally in August on the 19th we will have our Hog Roast in the Church Hall. I am aware that a lot of effort goes into arranging the social side of our activities and a number of our organising committee have intimated that come the end of the year they will not be able to continue. If you want our busy social life in the church to continue next year, please speak to me as we desperately need volunteers to help. I would like to extend my congratulation to Sam, who you will remember has preached on a Sunday for us over the past two years. Sam was ordained Deacon on Sunday 26th June at St. Woolos Cathedral. I also congratulate Stephen Blewett who was accepted recently at a Church In Wales Selection Committee to go forward for further training with a view to ordination. Finally as you are probably aware there are members of our church family who are unwell or who have died. Please remember them and their loved ones in your prayers at this most very difficult time. I have set the Lord always before me: because he is at my right hand, I shall not be moved. Therefore my heart is glad, and my glory rejoiceth: my flesh also shall rest in hope. I pray that you are all well and enjoying the warm weather. At last we are seeing signs of summer, so much so that I have planted my baskets and planters. We were greatly saddened to learn in May of the death of Jack Purnell, who had been a long standing and active member of our church. Our thoughts and prayers are with Rita, Clive, Neil and the family at this time. In May we celebrated both Ascension Day as well as Pentecost and Trinity Sundays. Our Patronal Lunch at the Huntsman was a huge success and the threatened disruption by the planned Velathon didn’t materialise. Our next social event is the Big Brunch to celebrate the Queens 90th Birthday. Please see details in Parish Life or the Calendar for this event. I used an expression a couple of weeks ago in a sermon and Stephen Blewett repeated it recently in his sermon. The expression was “Hurt people, hurt people. You know as Christians one of our duties is whenever possible to ease people’s hurt in whatever way we can. By this I don’t just mean those we meet in church on a Sunday but those we encounter in our day to day lives. When we encounter hurting people who perhaps are lashing out at those around them, our instincts are usually not to get involved but steer well clear. Unfortunately this doesn’t solve anything and we must try to draw alongside these people and as I say, try to ease their hurt. On an entirely different subject, we are now into the reality of reduced clergy in the parishes around us. Revs. David Neil, David Parfitt and Phillip Cochrane have all gone, Canon Ray Hayter from the Cathedral leaves in July and Father Edward from St. Stephens will be going later in the year. As God’s Church we must not see these departures in a negative light. Whilst it’s true that the reduced number of clergy during the period of interregnum will add pressures to both Clergy and Laity to maintain some services, it should also strengthen us and perhaps reveal hidden talents that we didn’t know we had. As I said last month we are assured that the stipendiary posts of Maindee, Caerleon and Malpas will be filled but this will take time, probably into next year. In the meantime let’s work together and support each other both in our worship but also in our social gatherings. As we come into the holiday period, I trust that whatever you have planned for your summer will be enjoyable and if you are travelling I pray you will stay safe and return to us here at Christchurch fully refreshed. Well I don’t know about you but my childhood memories of Aprils gone by were warm spring days and evenings with still a bit of a chill. Yesterday we had hail stones in Christchurch and the weather was bitterly cold. I wonder whether our memories, as we get older, only remember the good bits of our past life or is the weather really changing because of our misuse of the planet? And so to church business. We held our Annual Vestry Meeting on the 11th April and I am pleased that we had a good response from volunteers to join the PCC. My thanks to those who have agreed to serve for the year 2016/17 and also to those who have stepped down but have worked so hard in the past. Marjory has agreed to be my Warden and John was re-elected as peoples Warden for another year. Leslie has agreed to be Secretary and Gavin is our new Treasurer. Without the support and help of all these people and so many others as well, my ministry here would be impossible. We have had meetings recently with the Archdeacon of Newport to clarify what is happening and I can tell you the situation as I know it. David Neale from St. John’s, Phillip Cochrane from St. Cadoc’s and David Parfitt from St. Mary’s Malpas will all leave the Diocese at the end of April. The Posts of New Ministry Area Leaders will be advertised for Caerleon and Maindee as well as Malpas. All three vacant positions will be Stipendiary. This process will however take time and therefore we can expect these parishes to be without an Incumbent until at least the end of the year. The good news is that there are more candidates going forward to ordination, some as stipendiary priests and some as locally ordained non-stipendiary priests and deacons. Therefore we will, by God’s grace be able to sustain most of the services in the various churches until our recruiting is finished and we can start consolidating our position. In anticipation of a warm summer we have a lot of activities planned here at Christchurch over the coming months. In May we will have our Patronal Lunch at the Huntsman Shirenewton and the list is out at the back of the church if you want to add you name. In June we plan a Big Breakfast in the Hall to celebrate the Queen’s Birthday. Also in June we have a concert in the Church. In July we have the cheese and wine at the vicarage and a mystery trip. The latter will be an evening event, a visit to a local church and then supper at a pub. In August we have our Hog Roast. More details of all these planned events will be available shortly. In May we celebrate Ascension Day with a Eucharist service at 7.00 p.m. on Thursday 5th then on the 15th May it is Pentecost Sunday (Whitsun) followed the next week, the 22nd with Trinity Sunday, the date of our Patronal Lunch and of course on this day there will not be an Evening Service. I trust as I write this letter that you are well. March was a very busy month in the Parish but also a very special time spiritually. Holy Week and Easter Week celebrations went as planned and I hope and pray that they afforded you the opportunity for prayer, reflection and peace. I must apologise for the slight delay in the issue of this months magazine, I’m afraid that after Easter, I needed a few days before I could tackle the task of writing the various articles. I also want to thank all those who so beautifully decorated the church for Easter, our church always looks wonderful but with the Easter flowers and decorations it was magnificent. March has been an extremely busy month and yet in many ways very fulfilling spiritually. Our Lent lunches were a great success and my thanks to the cooks each week and everyone else who helped in any way to make them such an enjoyable occasion. I am pleased to announce that we are able to donate £380/- to Christian Aid as a result of the lunches. Our Bible studies for Lent were most enjoyable and we had open and interesting discussions on the scriptures. My thanks to Sam Helkvist who preached twice in March at the 10.30 services, as always his sermons were well received and we all wish him our very best for his forthcoming ordination to the Deaconate. I would also like to thank Stephen for preaching during March and of course, last but not least, Stan who is my constant support. A reminder that our Easter Vestry Meeting takes place in the church on Monday 11th April at 7.00 p.m. when we review church business over the last year and re-elect PCC Members and a People’s Warden for the coming year. I want to express my gratitude to Marjory for agreeing to continue as my Warden and my thanks to John for all his hard work and support as People’s Warden over the past year. My thanks must also go to Martin and Leslie who as Treasurer and Secretary respectively have been a huge support over the last year. Leslie has agreed to continue as Secretary for another year, but Martin made it clear when he accepted Treasureship, and helped us out of a very sticky situation, that it would only be until Easter Vestry 2016. Without their support and the support of a lot of other people, too numerous to mention, my ministry in this Parish would not be possible. It is also good at this point to welcome Gavin as our new Treasurer, he and Martin have I know been involved in a hand-over for the past few months. May I wish you the joys and peace of Easter and I pray that we may all continue by God’s grace, to love God and each other. As the days are getting longer, it appears that we are coming to the end of the winter period, a fact confirmed by the snow drops and daffodils we see popping up everywhere. Don’t forget to put your clocks forward on Saturday night the 26th March, as British Summertime begins. February has been quite a busy month in the Parish, we had our Parish Lunch at the Huntsman on the 31st January, Pancakes in the Hall on the 09th of February and our Lent lunches started on the 26th February. My thanks to Vera for organising the Parish Lunch, for Gavin for cooking the pancakes with me and to the Activities Committee for arranging and co-ordinating the Pancake evening and the Lent lunches. You may recall that February last year we had the pleasure of the company of Sam Helkvist who preached for us. Sam’s sermons were well received and he is very personable and engaging young man. As part of my on going mentoring of Sam, it is proposed that he will preach for us twice in March this year, as his training at St. Michael’s is coming to an end and he will be ordained Deacon in June, God willing. I propose, as previous years to hold a Lent Bible Study in Church every Thursday morning for four weeks starting on the 03rd March at 10.30. These meetings are intended to be informal, with a cup of tea and a non academic discussion about Scripture. Monday 21st of March is the start of Holy Week and there will services in church every day during the week. This year I propose that Monday and Tuesday evenings in Holy Week there will be Eucharistic Services held in the Holy Spirit Chapel at 7.00 p.m. and based on the liturgy of the Book of Common Prayer (Green Books). On Wednesday evening there will be a Lenten Service also in the Holy Spirit Chapel at 7.00 p.m. but this will be non-Eucharistic. Please see the Diary else where in this magazine for a full listing of all of the services. It is now general knowledge that we are losing two of our full time stipendiary clergy in April, Philip from St. Cadocs is moving to Oxford because of family commitments and David Neale from St. John’s is retiring because of health concerns. In the interim, and until these clergy are replaced, this will inevitably put extra pressure on clergy, especially in our Ministry Area, with David’s departure. I would suggest therefore that any additional help with the Parish activities you can offer to relieve the pressure on the remaining clergy will be gratefully accepted. First may I wish you belatedly a very happy, prosperous and peaceful New Year. As we enter the New Year I ask you to remember in your prayers all those in our church family here at Christchurch as well as all those who have died and those who mourn the loss of a loved one. Our services in December were varied and well supported, the Advent Carols, The Nine Lessons and Carols and the Contemplative Service as well as Midnight Mass and the services on Christmas Day and Boxing Day. My thanks to Jan and the Choir for all of their hard work and the the ladies who organised the service on the 20th December. Also my thanks to all who work so tirelessly to organise the many activities and services in and around the church. Special mention to my hard working Wardens, Marjorie and John. Social activities in December included the Coffee Morning, the Milton School Choir and I know from a recent PCC Meeting that Marjorie and the Activities Committee have a lot of things planned for this coming year. I have listed separately in this magazine an over view of dates both for social activites and also important Church Dates for the whole year. It is important I think that our prayer life in the church is also combined with fellowship as we live in community with each other as members of Holy Trinity. We will have as usual a Shrove Tuesday Pancake evening in the Hall on the 09th February and four Fridays of Lent lunches starting on the 26th February, and then the 04th, 11th and 18th March. I shall also be holding Lent Bible Study in the Church for four weeks every Thursday morning at 10.30 starting on the 3rd March. Our Jam (Jesus and Me) youngsters group is going from strength to strength and we thank them for their Nativity Play in December, it is so good to see young people active in our Church. I am also pleased to announce that we have a Parish Website up and running and our web address is HolyTrinityChristchurch.org. I think there may be a few teething problems but bear with us until they are sorted. I look forward to us having an informative and pro-active website for the parish. As I write this letter on the first day of December, the weather continues wet and windy. In addition we are all being blasted constantly by the media, trying to persuade us to part with our money for our material gratification for the coming Christmas festivities. November was a busy month for us. On the 6th November we held the Roger Gibbon Memorial Concert. My thanks to all who worked so hard to promote the event and also to the Dragons Choir and Holly Hollyoak who entertained us. As a result of your and their generosity and support we were able to send St. Anne’s Hospice a cheque for one thousand pounds. On the 8th we had our Remembrance Day Service at 10.30. Tuesday 24th evening we hosted here at Christchurch the first of the four Churches Together Advent Talks. The theme this year is ‘Love Came Down at Christmas’. There was good representation from the various churches in Newport and the evening I think went well. On Sunday 29th in the morning we were pleased to welcome the Rev. Sister Anita Woodwell who preached at our morning Eucharist service. In the evening we held our Advent Carol Service in conjunction with St. John’s Maindee, St. Teilo’s, St. Andrew’s and St Philip’s Lliswerry and my thanks to Father David Neale, Jan our Choir Mistress and the Choirs of St. John’s and Holy Trinity Christchurch for working so hard in preparation for the evening. We open our doors this evening for the first of our night shelters and again my thanks to all who are co-ordinating this activity and to all who have volunteered over the coming eight weeks. We also welcome this evening Milton Junior School Choir which will give its annual Carol Concert. This is always a popular event with parents supporting their children, its so good to see so many young people in church. As in previous years the Mayor of Newport will be in attendance. Talking of our youngsters, J.A.M. (‘Jesus with me’ young peoples club) has had a few trial runs which have been successful. Its members helped us celebrate our Link Sunday Service on the 15th November and quite a number of young parents have expressed an interest in the activity. Please therefore pray for all those who are involved with J.A.M. for its continuing success. Next Monday the 7th December we have the Ladies Coffee Morning which is always a popular event.